40cm x 40cm print of the painting “Solstice” by JMS. Limited run of 25 prints, all personally signed and numbered. Frame sold separately (listed below). Original is still available, if interested, please email info@jmsarts.com or use the contact page. 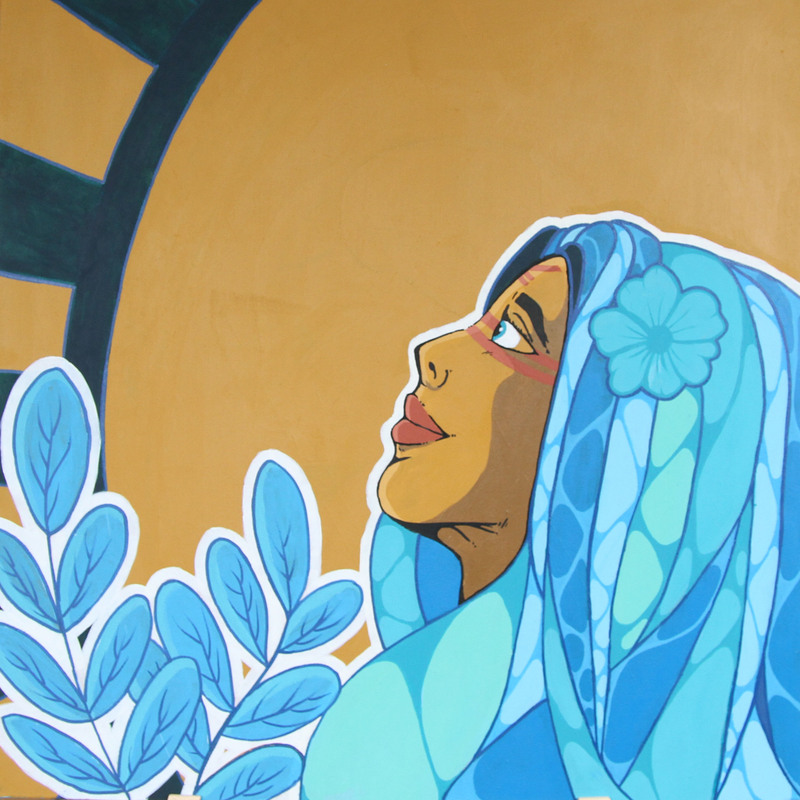 This piece is inspired by a long love for illustrative street art and pop art. 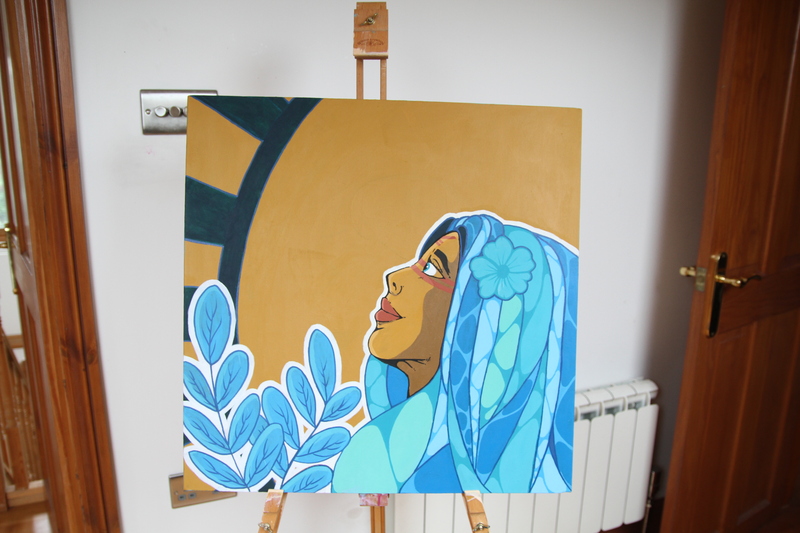 The piece signifies a mix of styles that I have made my own over several years of painting. The subject herself was devised from a need to bring out the thoughtful nature, the pose working in synergy with the background is meant to make the viewer feel at ease and trigger a thoughtful mood. In order to throw the piece out of a complete lazy tranquillity I have incorporated the abstract pattern in the hair to give a more vibrant exciting side which will demand the viewers attention. 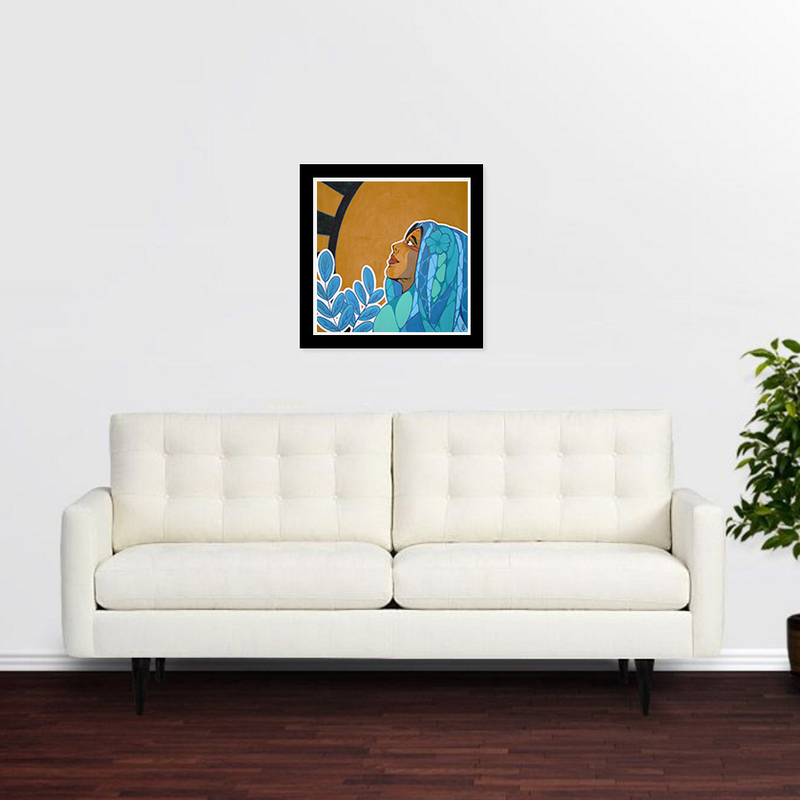 This piece will look perfect in any room and will certainly bring some excitement to the wall. A frame available to fit the 40cm x 40cm Prints. Frame Only. 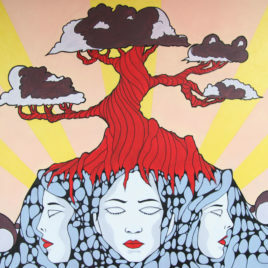 A2 size print of the painting "Tree of Thought” by JMS. Limited run of 25 prints, all personally signed. Frame sold separately (listed below). FREE shipping on all UK orders. Original is still available, if interested, please email info@jmsarts.com or use the contact page. 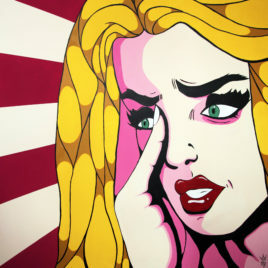 40cm x 40cm print of the painting “Model Problems” by JMS. Limited run of 25 prints, all personally signed. Frame sold separately (listed below). FREE shipping on all UK orders. 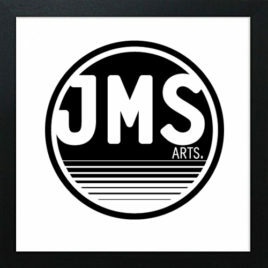 Original is still available, if interested, please email info@jmsarts.com or use the contact page.